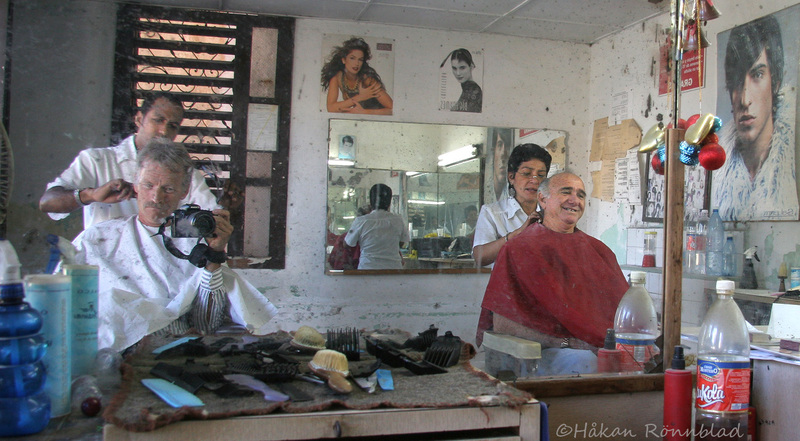 ..could not even give it a rest while getting a haircut at this not so fancy hairdresser saloon in Havana. This entry was posted in Cuba, photography and tagged Calle 23, Cuba, eternal photographer, hairdresser, Havana, Håkan Rönnblad, Kuba bilder, La Habana, photography, Work. Bookmark the permalink.